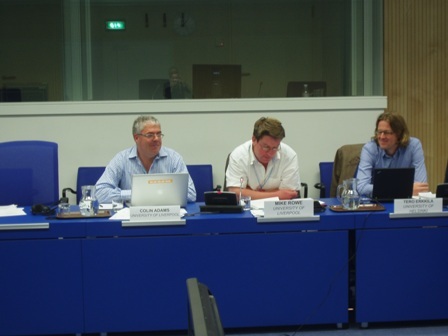 Two academics have spoken on corruption in public administration at the United Nations in Vienna. Dr Colin Adams, Senior Lecturer in the School of Archaeology, Classics and Egyptology, and Dr Mike Rowe from the University of Liverpool Management School, attended the Expert Group Meeting and Workshop. Dr Adams spoke about corruption in its historical and cultural perspective and Dr Rowe’s talk was about corruption in public service delivery in the UK and other modern states. The findings of the meeting will be published by the UN in the form of a book and policy statements intended to inform public policy in UN member states. The invitation came through after interest was generated by a research collaboration between both academics and Margaret Procter, Lecturer in Archives and Record Management at the School of History, who has organised a series of seminars on corruption in historical perspective and the history of public administration.